A joint observational campaign with the MAGIC telescopes at the Observatorio del Roque de los Muchachos (Garafía, La Palma) and the VERITAS array at the Fred Lawrence Whipple Observatory (Tucson, Arizona), has detected a new source emitting very-high-energy gamma rays from an unusual system consisting of a massive star and a pulsar. The study has just been published in the prestigious The Astrophysical Journal Letters. The PSR J2032 + 4127 pulsar at the time of closest approach to the star MT91 213, a blue star with a disk of matter around. Credit: NASA’s Goddard Space Flight Center. Binary emission according MAGIC on different days during the approach in November 2017. Credit: MAGIC Collaboration. An international collaboration between the MAGIC telescopes at the Roque de los Muchachos Observatory (ORM) and the VERITAS array at the Fred Lawrence Whipple Observatory (FLWO) has discovered very-high-energy gamma ray emission from the PSR J2032+4127/MT91 213 binary system, an eccentric pair of gravitationally linked stars with an orbital period of 50 years. Gamma-ray emitting binary systems are rare objects, likely corresponding to a relatively brief period in the evolution of some massive star binaries. In these systems, a neutron star or black hole, the remaining products of stellar evolution and death, orbits a massive star. Few binaries have been detected within the very-high-energy gamma-ray domain. Up to now, less than 10 have been discovered, and the nature of the compact object or stellar remnant – whether it is a neutron star or a black hole – remains hidden for most of them. Back in 2002, gamma-ray emission was detected from an extended source of unidentified nature: TeV J2032+4130. It was not until 2008 that the Fermi-LAT satellite discovered a highly-magnetized neutron star or pulsar, named PSR J2032+4127, which seems to be the cause of the emission of this unknown source. But the final surprise came in 2015, when it was discovered that this pulsar is coupled with the star MT91 213, taking 50 years to complete a full orbit around it. However, the most interesting event for the gamma ray community was that the closest approach between the pulsar and the star was going to happen in November 2017. 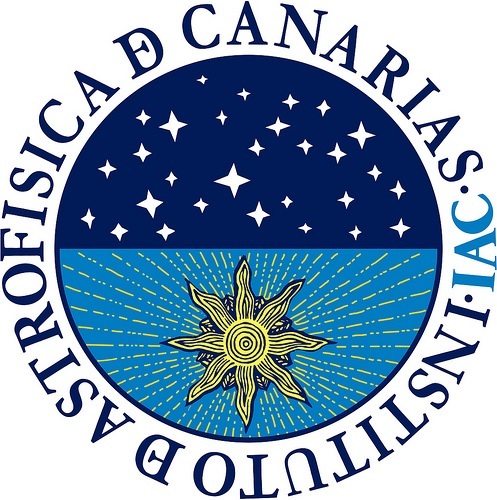 According to Alicia López Oramas, researcher at the Instituto de Astrofísica de Canarias (IAC) and one of the main authors of the study, “such a unique system was expected to emit very-high-energy gamma rays during this approach, and this opportunity could not be missed”. A joint observation campaign was immediately launched to look for some cosmic fireworks from this binary system. During 2016, both observatories started searching for emission from this source, but all they could detect was the extended emission from TeV J2032+4130. “This source is most likely a nebula, the shell of a supernova remnant, which is being powered by the pulsar” -explains Ralph Bird, researcher at the University of California Los Angeles – “during 2016, all we could see was the emission of this weak source, which is detected after 50 hours of observations”. The true excitement arrived in 2017. In September of that year, before the planned approach, astronomers detected an enhancement in the emission of the new binary gamma-ray system. “The gamma-ray flux doubled the value measured from the extended source”, says Tyler Williamson, a graduate student at the University of Delaware (UD). However, the most amazing event took place in November. “During the closest approach between the star and the pulsar, the flux increased 10 times in just a single night” says Jamie Holder, a Professor in UD’s Department of Physics and Astronomy. Prior to this detection, only one other gamma-ray binary with a known pulsar had been detected. In both cases, particles are accelerated in the shock created between the stellar wind and the pulsar wind and produce the gamma-ray emission. “The knowledge of the nature of the compact object allows to properly study particle acceleration mechanisms and gamma-ray emission models”, explains Oscar Blanch Bigas, researcher at the Institut de Física d’Altes Energies (IFAE). The Cherenkov Telescope Array (CTA), the next-generation Cherenkov observatory that has just inaugurated the prototype of what may be its first Large Size Telescope (LST-1) at the ORM, will help detect new gamma-ray binaries. “With an estimated population of about 100-200 gamma-ray binaries in the Galaxy, CTA will probably unveil the nature of these systems and reveal new insights into the evolution of binaries”, concludes Javier Herrera Llorente, a researcher who participated in the study and manager of the CTA project at the IAC. The Spanish scientific community has been participating in MAGIC since its inception through a number of public research centres, among them the IAC, the IFAE, the Universidad Autónoma de Barcelona (UAB), the Universidad de Barcelona (UB) and the Universidad Complutense de Madrid (UCM). In addition the data centre for MAGIC is the Port d’Informació Científica (PIC), a collaboration between the IFAE and the Centro de Investigaciones Energéticas, Medioambientales y Tecnológicas (CIEMAT).